Reliance Industries chief Mukesh Ambani is planning to exit the Navi Mumbai special economic zone, as the project has failed to take off in the past 11 years, despite extensions by the Maharashtra government. The SEZ’s promoter, Jai Corp (owned by Ambani’s close confidant Anand Jain), has blamed the global financial crisis and the withdrawal of fiscal incentives by the Centre for the project turning unviable. According to a source, Ambani, an investor in the SEZ project in his personal capacity, is evaluating offers from a few investors seeking to develop it as an industrial park. The Maharashtra government has already allowed part of the SEZ to be converted into an industrial area and the valuation exercise for the SEZ, spread across 2,140 hectares in Navi Mumbai, is underway. An announcement on this is expected soon. As demand for an industrial park isn’t likely to be high, considering the current industrial situation in the country, the valuation will be based on prevailing land prices in the area. A Reliance Industries spokesperson declined to comment and directed the queries to Jai Corp.
Emails sent to Jai Corp on Saturday remained unanswered. Earlier, SEZ players in Maharashtra had told the government that in the absence of any fiscal incentives, it wouldn’t be possible to attract units to such zones. SEZs were conceived as huge export-oriented units, with tax incentives to start off. When in 2011, the Centre withdrew the tax breaks, companies claimed they had become uneconomic. Besides, land of the Navi Mumbai SEZ was scattered, making it difficult to set up a unified zone. While Ambani is looking at an exit from the Mumbai SEZ project, Reliance Industries has decided to convert part of its SEZ project in Haryana into an industrial colony. The company had returned 1,384 acres in Gurgaon which it had acquired from the Haryana State Industrial & Infrastructure Development Corpo-ration to set up an SEZ. But that project, too, was abandoned. Ambani has invested in many projects in his personal capacity. The East-West gas pipeline and the port and power projects in Jamnagar are examples of such projects. 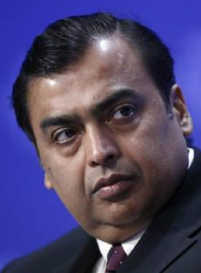 Ambani and Jai Corp had also planned to set up another SEZ, Mahamumbai, in Raigarh district. But the project faced stiff resistance from locals, who agitated against land acquisition by the state government. For the project, land was acquired in Uran, Pen and Panvel. So far, only 4,600 acres have been acquired. In its annual report for 2014-15, Jai Corp said the new land acquisition Act, notified in January 2014, made it difficult to buy land in contiguity, vital for an SEZ.